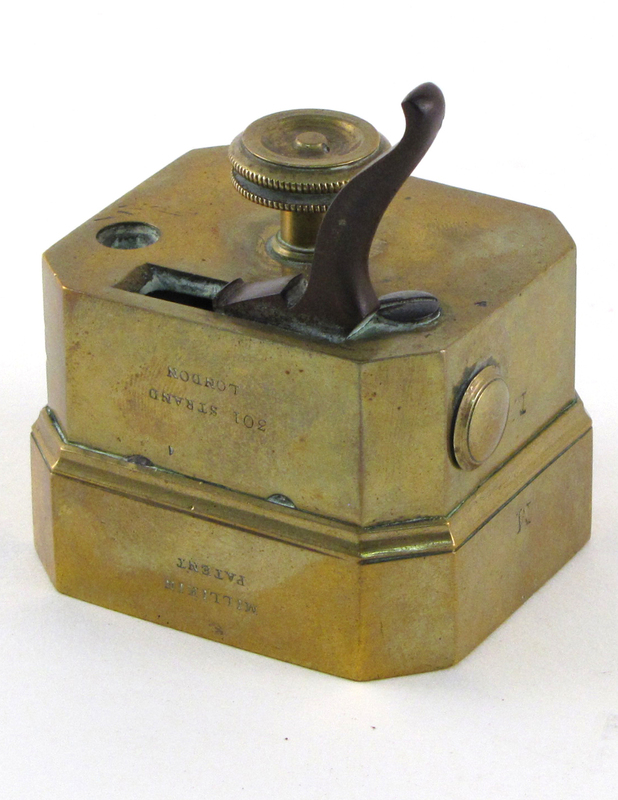 By the 19th century, the scarificator was an essential tool in the practice of bloodletting. First developed in the early 1700s as a more humane and efficient bloodletting instrument than lancets and fleams, scarificators had multiple blades that shot out with the press of a spring-loaded lever creating an instantaneous series of parallel cuts in the skin of the patient. 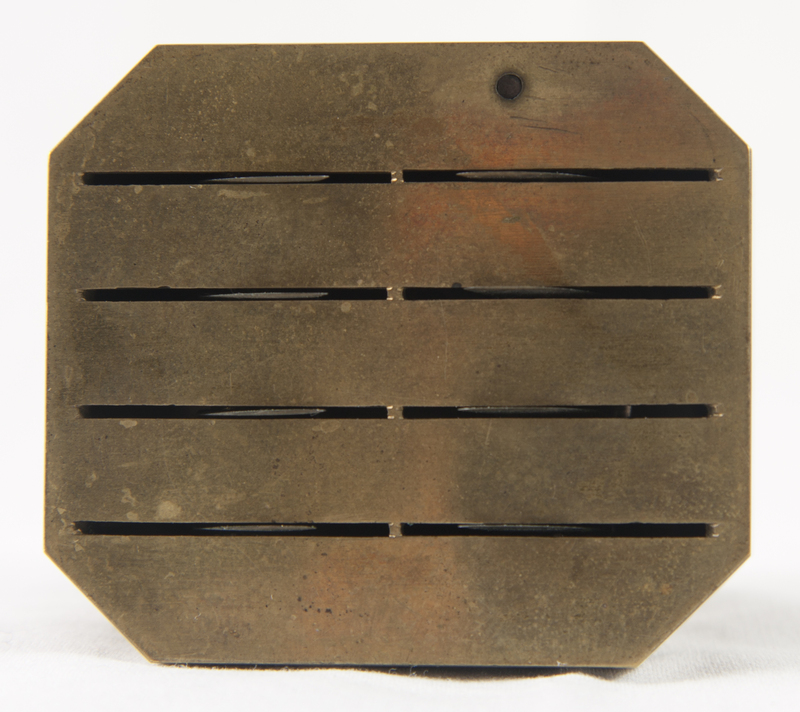 Scarificators could be square or round in shape, but by 1790, octagonal boxes such as this one were favoured in Britain and North America. 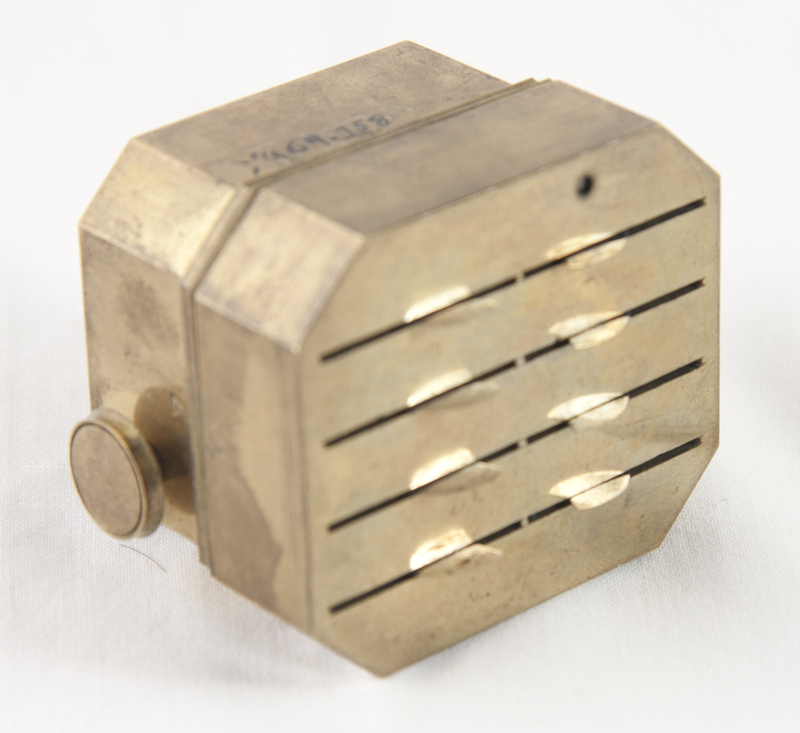 Although scarificators were usually used in conjunction with cupping, there is evidence they were also sometimes used by physicians other purposes. Long after the use of scarificators for bloodletting had gone out of fashion in Western medicine, Dr. Howard Box and Dr. G.S. Cronk employed this instrument for smallpox vaccinations in China in 1918.